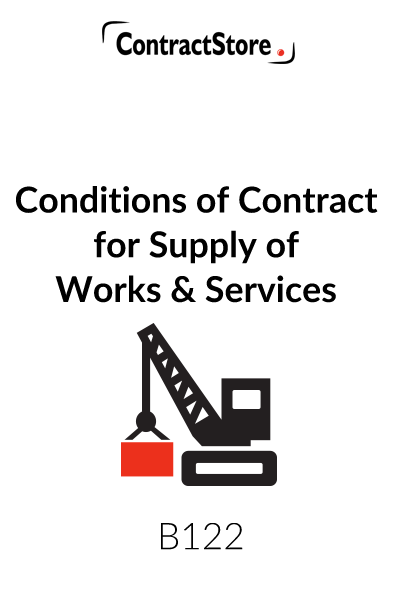 These Conditions of Contract for Supply of Works and Services are designed as a standard set of conditions which can be issued with an invitation to tender or a purchase order. You need this document if you supply works and services, and want terms and conditions to issue with an invitation to tender or purchase order. 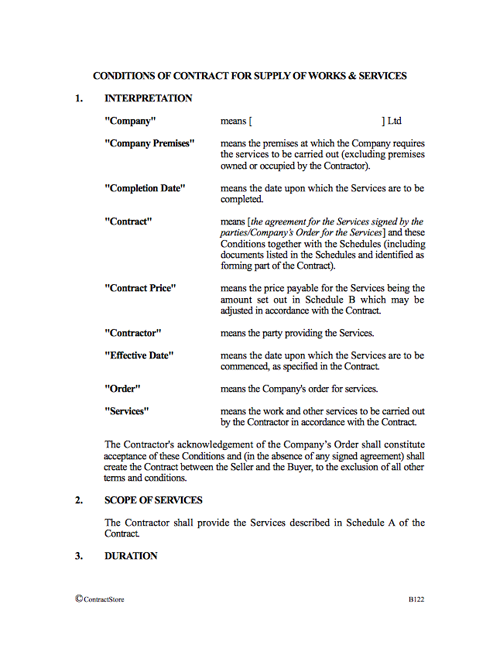 This sets out certain capitalised words and phrases which are used in the Contract. There is also a sentence making it clear that these Conditions are embodied in the contract. The Contract Price and the terms of payment are to be included in a Schedule. This is likely to be a fixed Contact Price with payment being made as the work progresses. Sometimes there is a payment schedule which specifies the precise amount or percentage of the Contract Price to be paid on certain dates. It is advisable always to link the payment with progress – either by having the work valued before it is paid for or, where there is a Schedule of payments linking payment to completion of elements of the work before any particular progress payment is made. The wording in 4.1 contains a payment procedure that will apply if no alternative is set out in Schedule B. There is legislation in the UK concerning payment terms in construction contracts and our wording is designed to comply with this. More information can be found in our free document Z146. Clause 4.2 contains a method of dealing with the situation where the Company is not happy with the amounts requested by the Contractor. Under the law in the UK notice has to be given before deductions are made and this wording complies with the law. This clause makes particular reference to the Contractor’s obligations when working on the premises of the Company – not to interfere with the Company’s activities, with third parties etc. It also deals with the need for the Contractor to comply with safety and other regulations which are in force. Where there are Company procedures, the Company should make sure that copies are given to the Contractor at the beginning of the job. As written, this clause requires the Contractor to obtain all necessary permits – from local authorities etc. In some circumstances, this clause will not be appropriate – it may, for example, be necessary for the Company as site owner to obtain the permits rather than the Contractor and an adjustment would be required. Also, if the Company’s assistance is required, then a sentence to the effect that : “the Company shall provide all assistance reasonably requested by the Contractor in obtaining these licences”, could usefully be added. In clause 11.2, there is a 12 month defects correction period during which the Contractor must remedy any defects which are notified to him. Failure to do so entitles the Company to engage a third party to do the work and back-charge the costs to the Contractor. Clause 11.3 renews the guarantee for any remedial work carried out within that 12 months. It is quite common for liquidated damages – i.e. a pre-determined amount – to be payable by a contractor if he fails to complete the work by the due date. If there is no liquidated damages clause the Company could claim for the loss it suffers as a result of the delay. With liquidated damages, which should be a reasonable pre-estimate of the loss, the Company can only recover the liquidated amount – which is usually expressed as a daily or weekly sum, limited to, say, 10 per cent of the contract price. With relatively low value contracts, liquidated damages may not be much of a sanction for the contractor, which is why we have not included this provision. This clause makes the Contractor liable to indemnify – i.e. make good all losses incurred by the Company in various circumstances – essentially where there is default or negligence on the Contractor’s part causing damage to property or death or injury to individuals. Clause 12.3 deals with the death or injury of the Contractor’s own personnel and clause 12.4 provides an indemnity for the Company in the event of any patent infringement by the Contractor. In practice, these fairly onerous obligations on the Contractor should be covered by the insurances which he takes out pursuant to the next clause. This clause is designed to ensure that ownership of materials incorporated in the Services pass to the Company when they are paid for or when they are delivered to the Company’s premises. Clause 15.2 is designed to prevent third parties establishing any rights over materials and equipment. 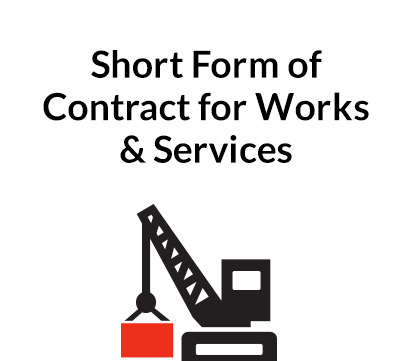 Clause 16.3 gives the Company the right to cancel all or any part of the Services at will and in that event, clause 16.4 allows the Contractor some compensation, in particular any extra costs it incurs – e.g. termination costs of personnel or cancellation of contracts (plus an allowance for anticipated profit if the wording in brackets is included). This clause gives the Company the right to request variations and deals with the method of pricing those variations. It also, in clause 17.3, gives the Contractor the right to request a variation. Under clause 17.4, a procedure is established for the issue of a variation order by way of confirmation of any variations. This procedure is important: during the course of a contract, changes can be agreed on site and if those changes involve any additional cost there must be a variation order if the Contractor is to recover that cost. 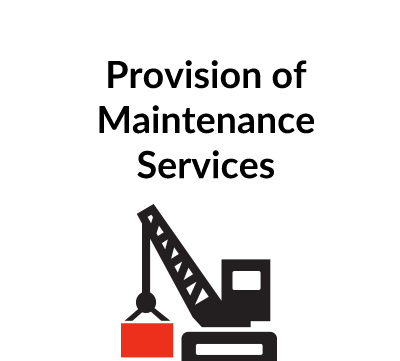 Especially when work is taking place on the Company’s premises, the Company may provide some of the materials and this clause requires the Contractor to keep them in good condition pending use and to return any unused materials. 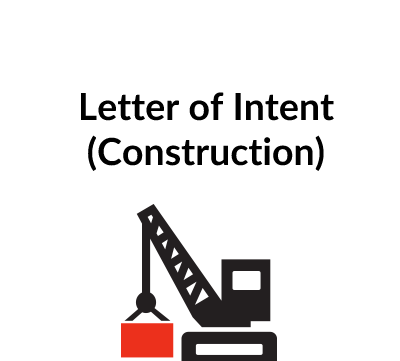 Assignment – a transfer of the contract to a third party by the Contractor – is prohibited without the Company’s prior written consent and if the consent is given, a formal novation agreement is entered into. Under such an agreement the assignee will enter into a new contract with the Company. It is usual for contractors to subcontract the supply of services and materials but prior approval of the Company is nonetheless required, but in this case it will not be unreasonably withheld. Clause 19.2 makes it clear that subcontracting does not relieve the Contractor of any of its obligations to the Company.